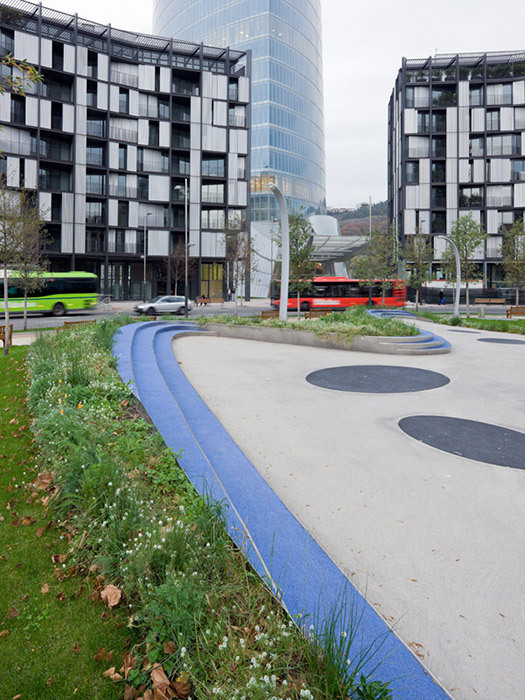 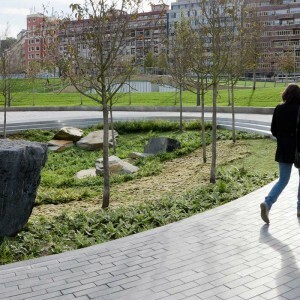 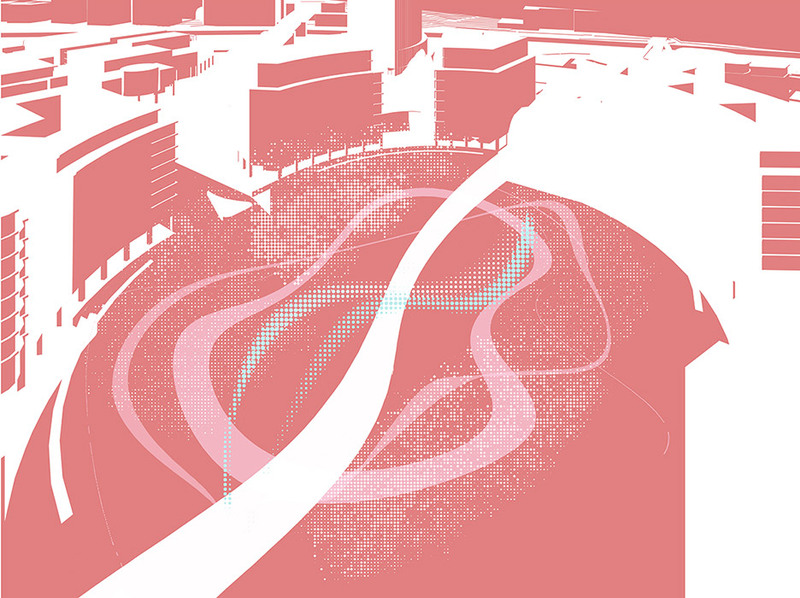 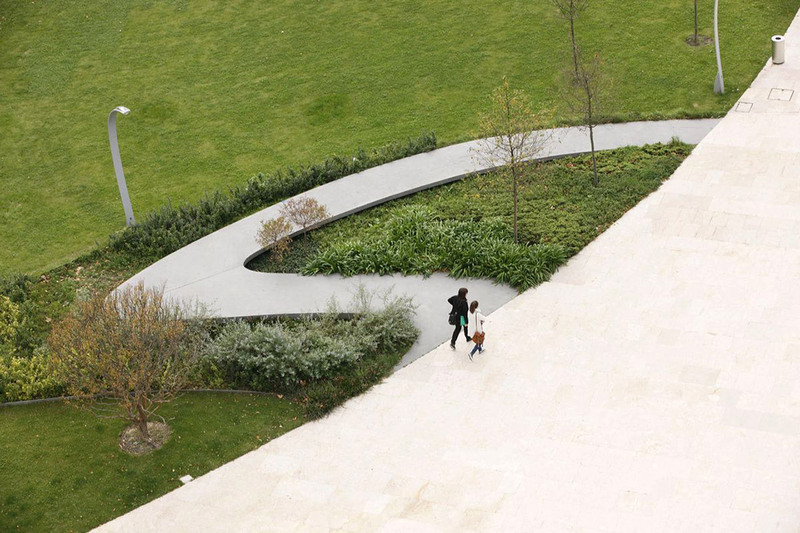 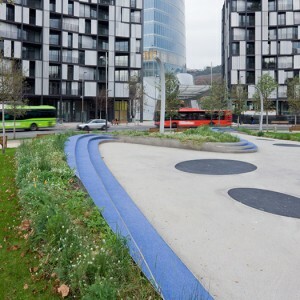 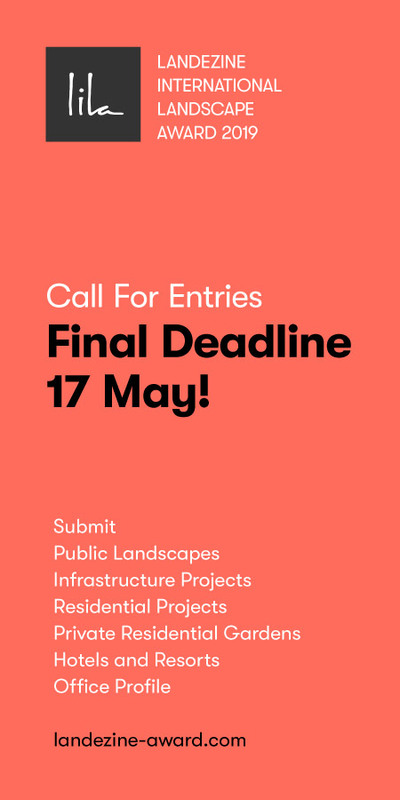 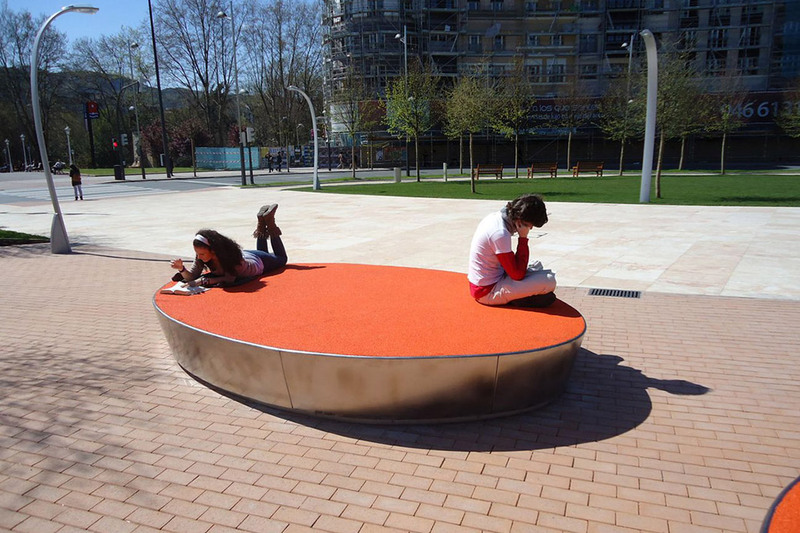 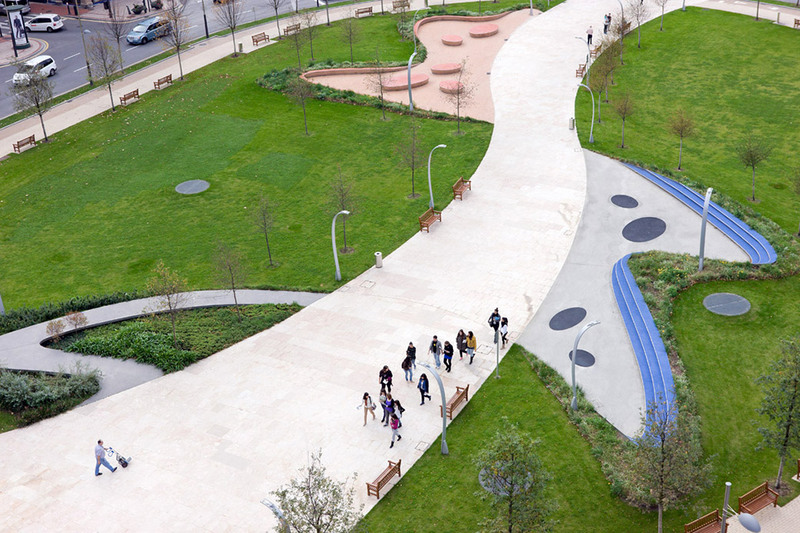 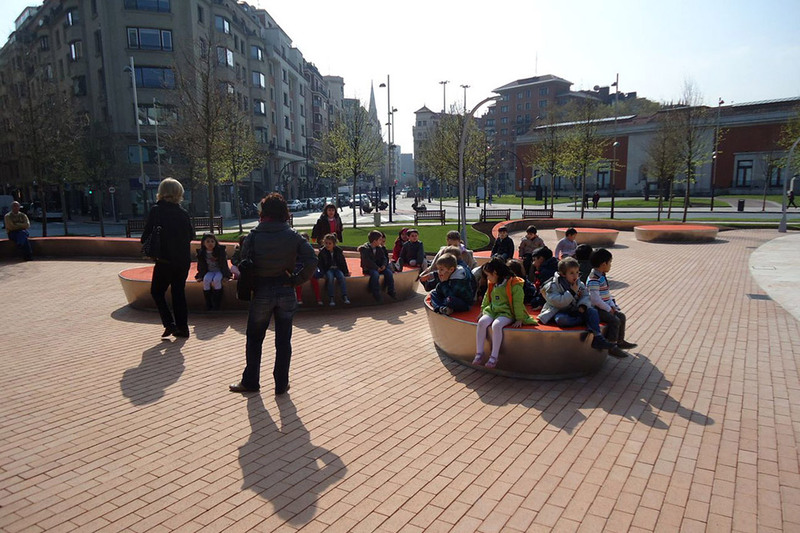 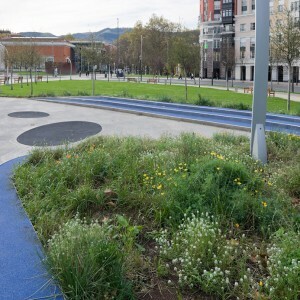 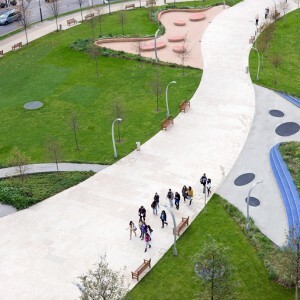 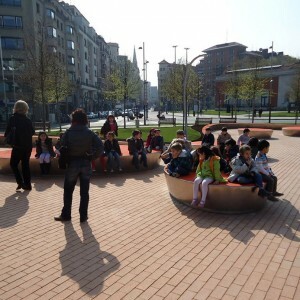 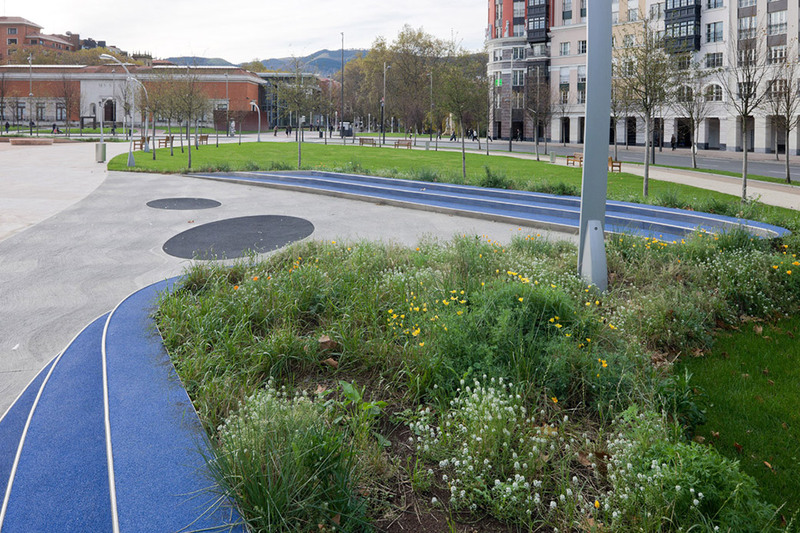 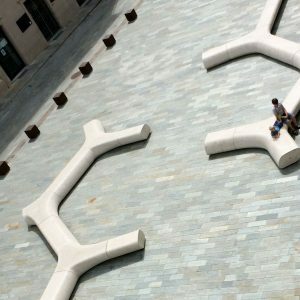 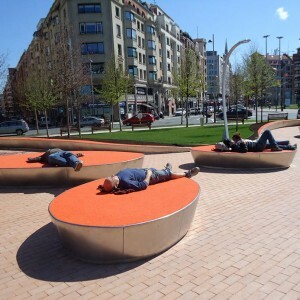 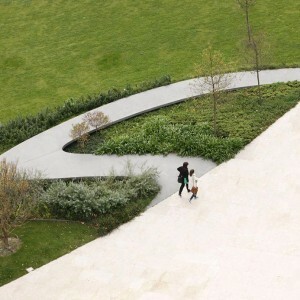 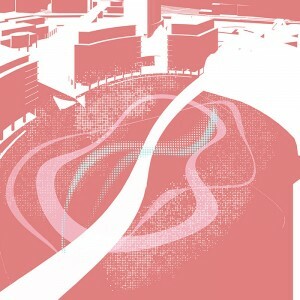 Balmori Associates: Plaza Euskadi connects the nineteenth century section of the city called El Ensanche, to the new Bilbao, Deusto university campus, the Guggenheim Museum, and the Nervión River. 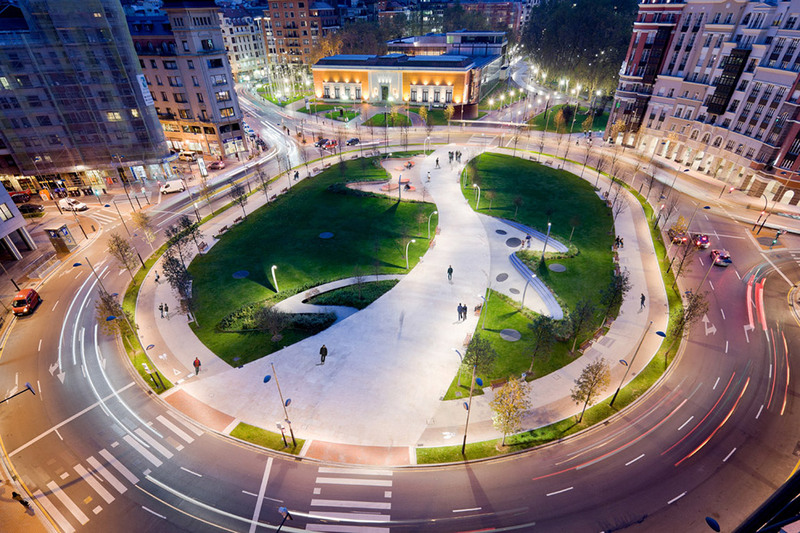 The Plaza emerges as a pivot point that unifies various built elements. 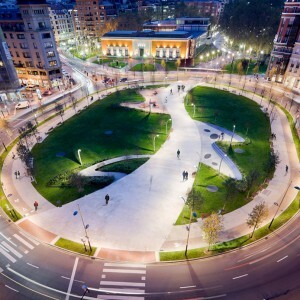 Apart for the Museum of Fine Arts and historic residential buildings, the plaza is surrounded by contemporary buildings comprising of the university and library buildings, shopping mall, subway station, hotels, residential buildings, and office skyscraper designed by architects including Gehry, Moneo, Pelli, Siza, Krier, Legorreta, and Stern. 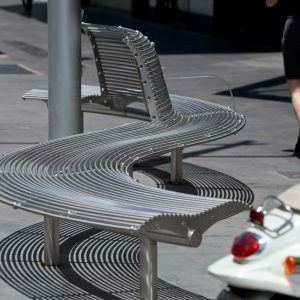 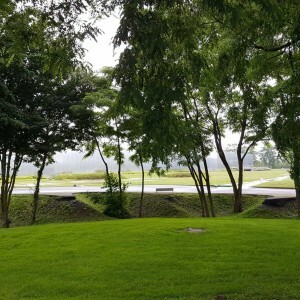 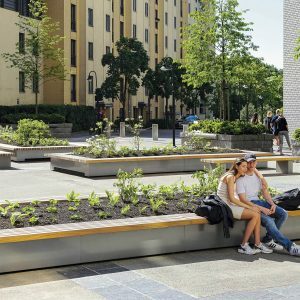 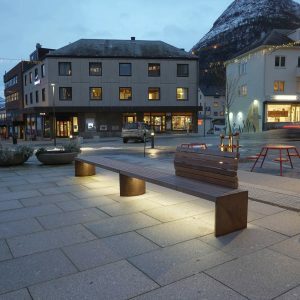 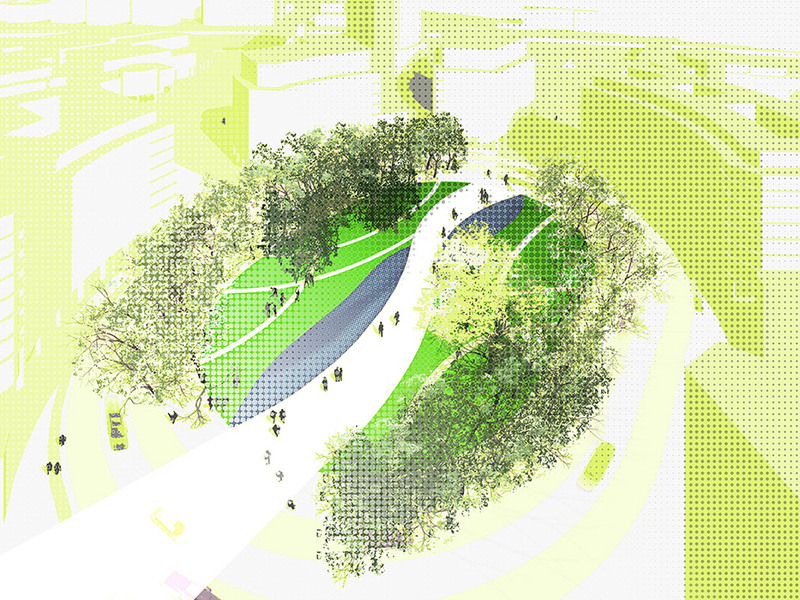 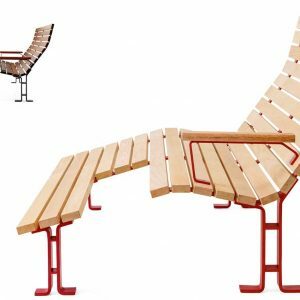 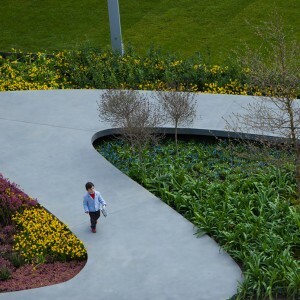 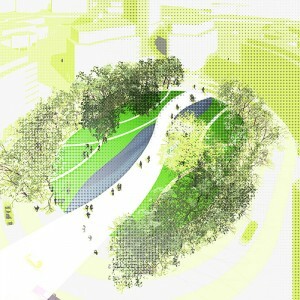 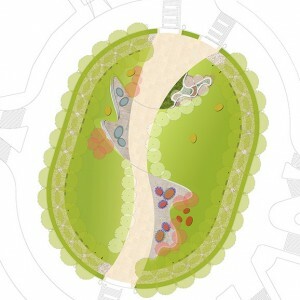 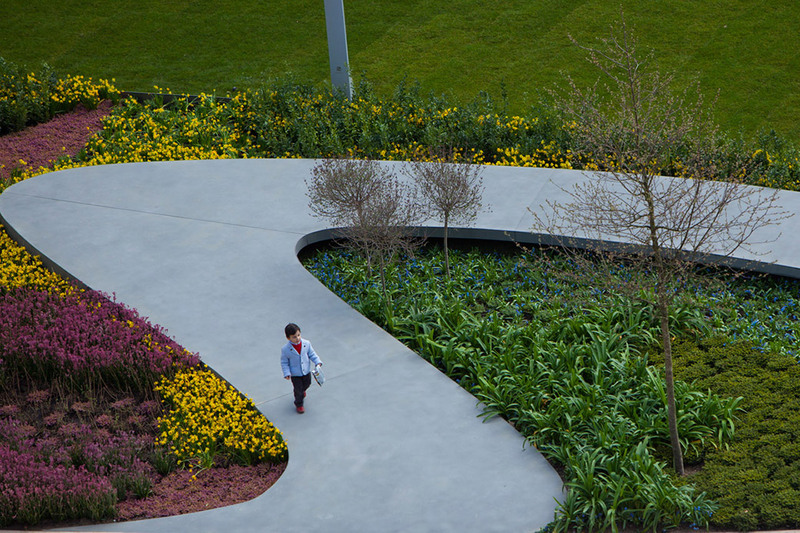 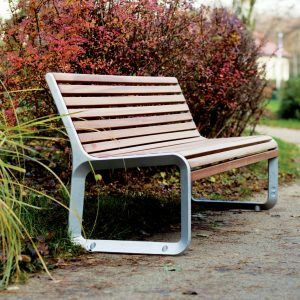 A direct central path, focus of the energy and urban movement that spreads to the whole area, sews all the pieces together, while the tree-lined perimeter path of the oval form allows for circulation and more leisurely sitting. 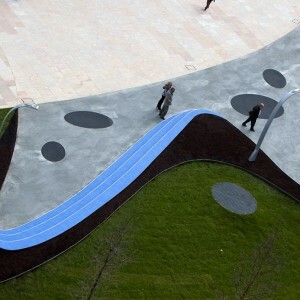 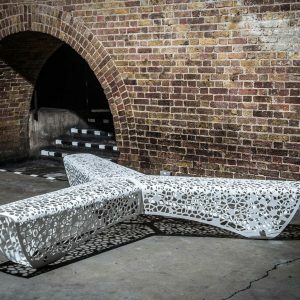 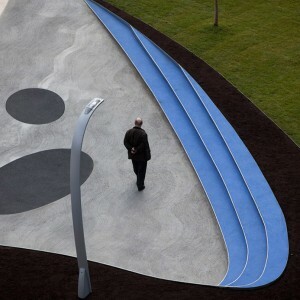 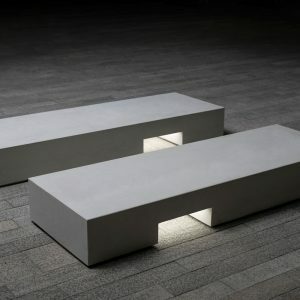 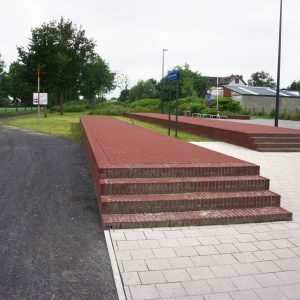 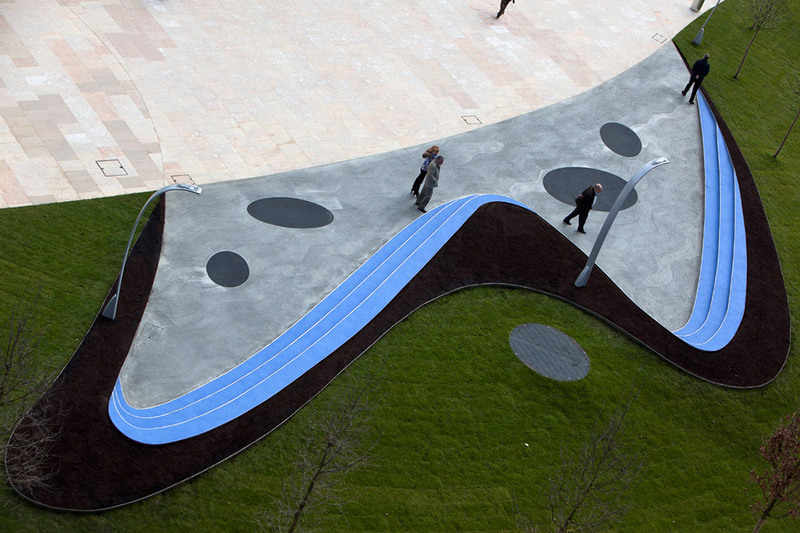 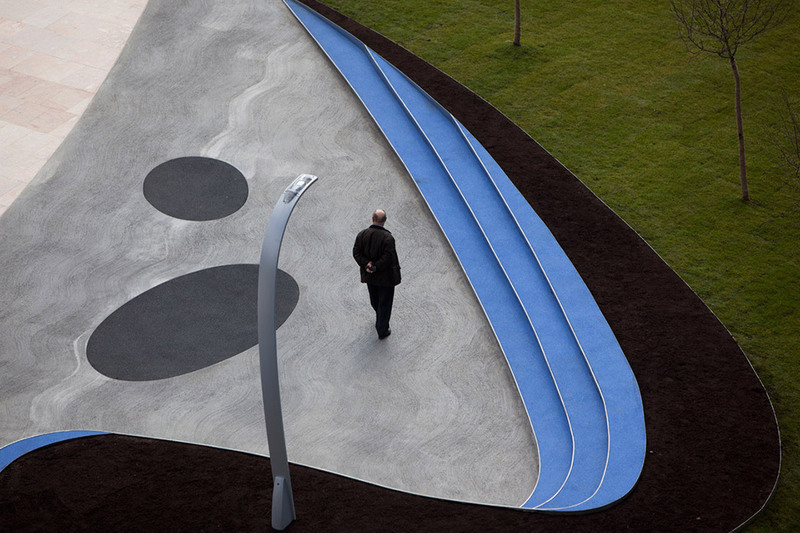 Three public park “pockets” hooked onto the side of the central path display playful seating of recycled rubber. 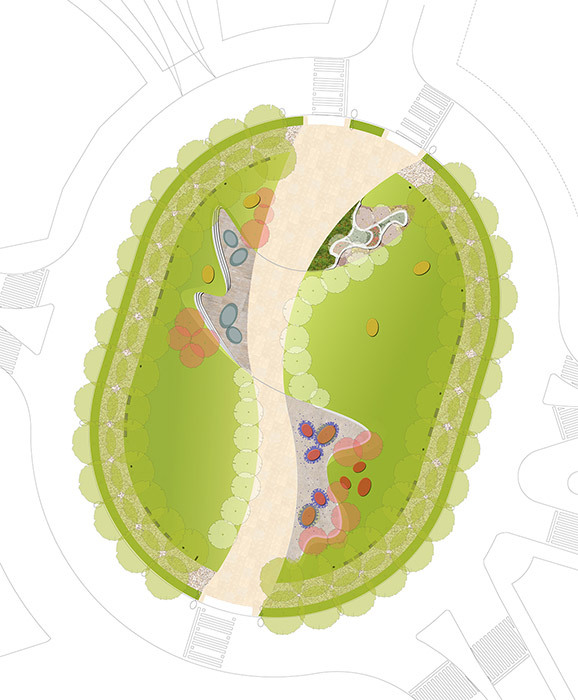 Each pocket has a different character: a reflecting puddles-seating amphitheater section, an ottoman seating section, and a “garden” section with a selection of flowering shrubs and a 100 year old Laegostremia tree at its entrance. 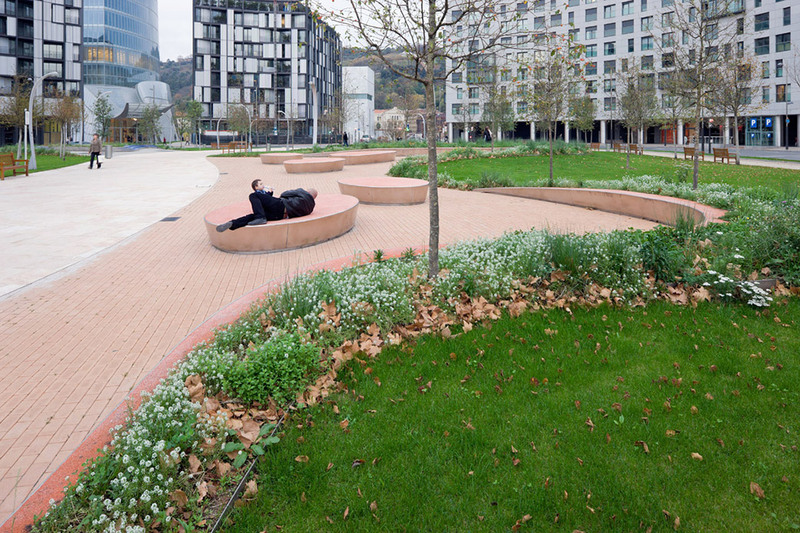 A one-thousand-space underground car park lies underneath the northern half of the plaza. 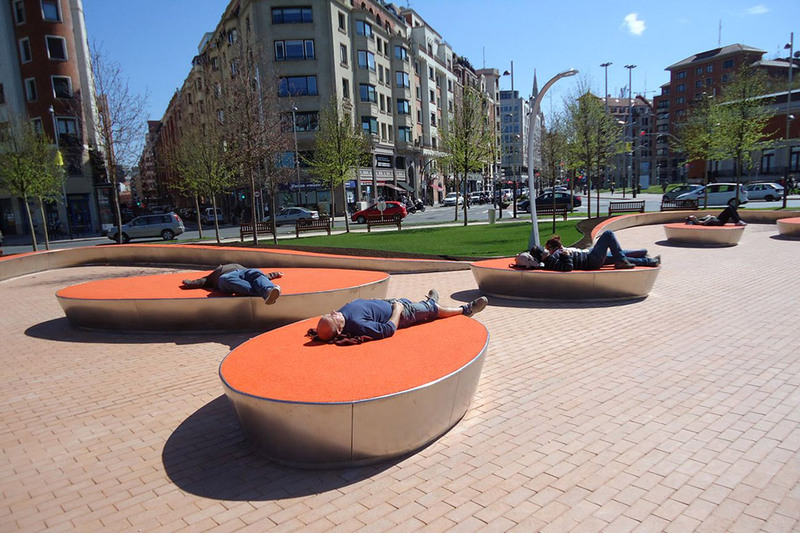 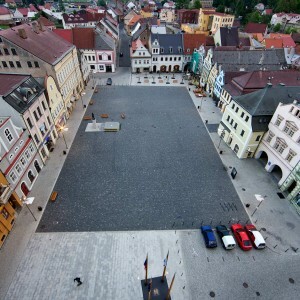 The plaza, referred to by the local media as “the plaza of the crisis” cost 1.37 million euros, a sixth of the original construction budget. 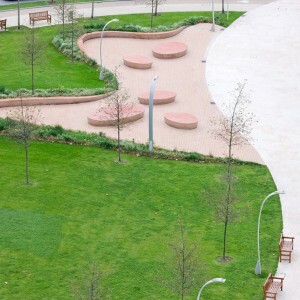 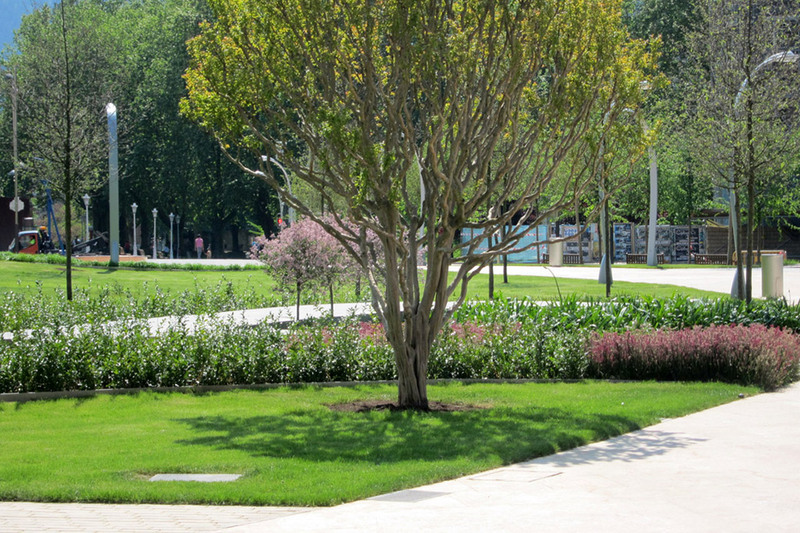 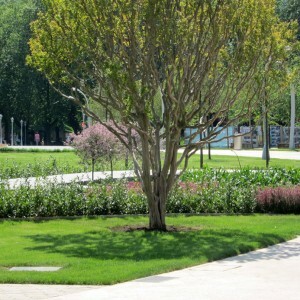 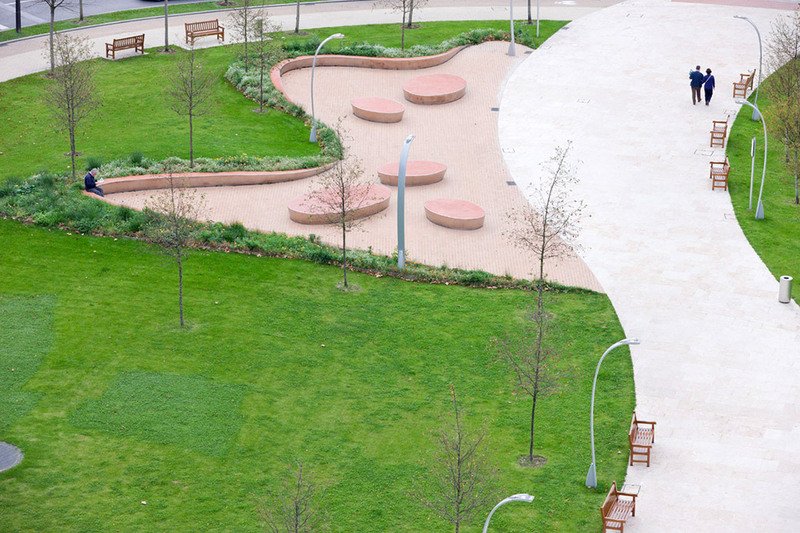 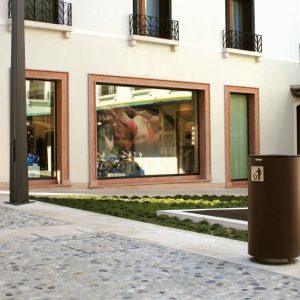 In 2008 the construction of the Plaza was impacted by the economic downturn in Spain leading to a complete re-design which included the removal of the fountains, the cut down on planting and grading, and the change of materials.